Harvey Lindsay was responsible for the development of the 400,000 square foot, 26 story Dominion Tower building and adjacent 1300 car parking structure in downtown Norfolk. Harvey Lindsay Commercial Real Estate co-developed this property, provided the initial development management. Bill Hudgins got his start in the development field working on this project as a summer intern while getting his MBA at North Carolina. The Building was completed in 1988. A group led by Harvey Lindsay purchased the building in 2001 and Harvey Lindsay provided the property management and leasing services. The ownership group sold the building in 2004 to an investment consortium led by the Harbor Group. 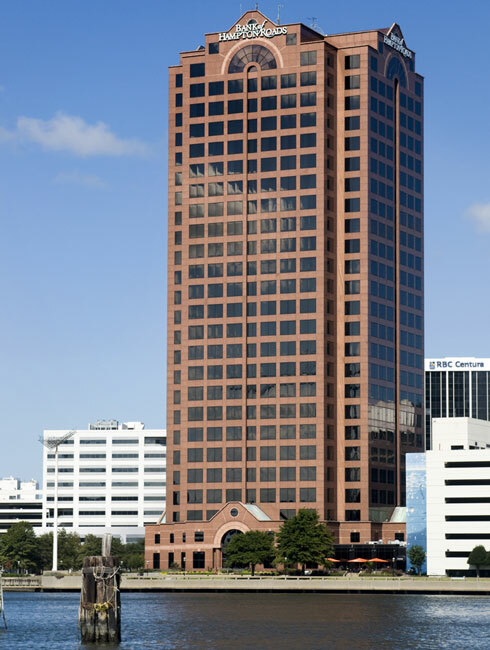 While several Class A buildings have been added to the market inventory - Dominion Tower remains the finest Class A building in the Hampton Roads region.